‘Tis the season, folks. For DIY gifts, that is. I just love DIY gifts. Some of my absolute favorite gifts are ones that my friends and family have made. Except, my mother-in-law bought me an Instant Pot this year, so that may be one of my favorite gifts ever! How do I know this already? I may have ordered one for me and one for her while we were over at her house on Black Friday. Haha. Anyway, back to this peppermint chia sugar scrub. This is a super simple DIY project that your friends will love. And peppermint is holiday inspired. This sugar scrub is full of nourishing oils for hydrating skin. Chia seeds and sugar help exfoliate the dead skin away leaving nourished, moisturized, and glowing skin. Peppermint essential oil leaves your skin with a cooling feeling, can help you relax, and has antimicrobial properties. Also, did you know that a study has shown significant reduction in headaches with the use of peppermint essential oil (source)? We could always use more of that during the winter and stress of the holidays right? 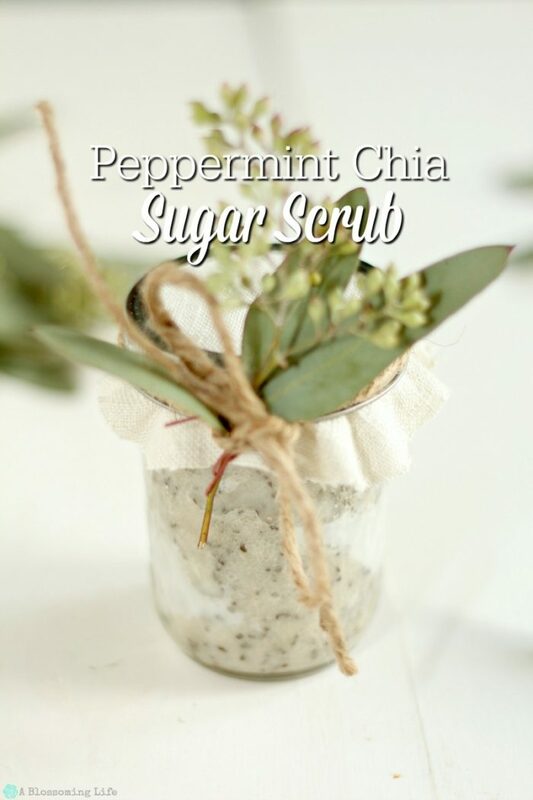 The best part is this lovely scrub is inexpensive, smells divine, and is super quick to whip up. All the best makings of a DIY present. I dressed up the packaging with some leftover scrap fabric, twine, and some eucalyptus. So rustic and fancy. 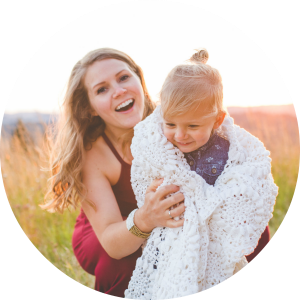 FYI: Peppermint essential oil is not safe for younger children (can slow breathing) or breastfeeding mothers (can reduce milk supply). Always check with a medical professional before using essential oils. 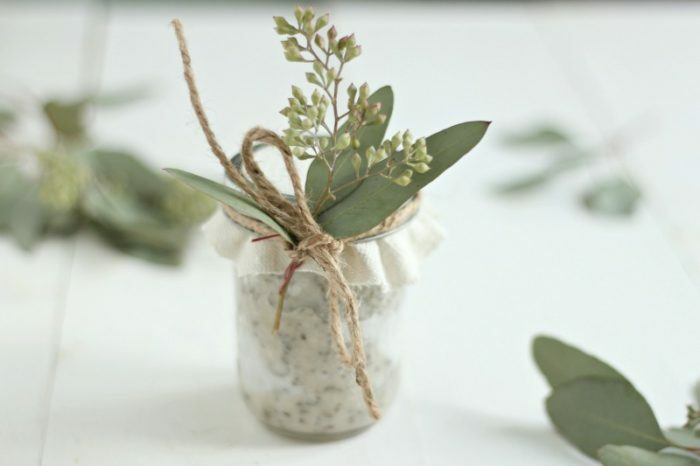 Mix ingredients together and store in an adorable jar to gift for friends. Or just a regular jar if you plan to keep it yourself. Keeps for one month.